Some time during the holidays, my man and I decided to have dinner at Motorino in Greenbelt. I first saw Motorino in Hong Kong, when we were walking around Wan Chai looking for the Monocle Shop in St. Francis Yard. You could easily spot it because it looked gleaming amidst the quiet storefronts of the other shops. 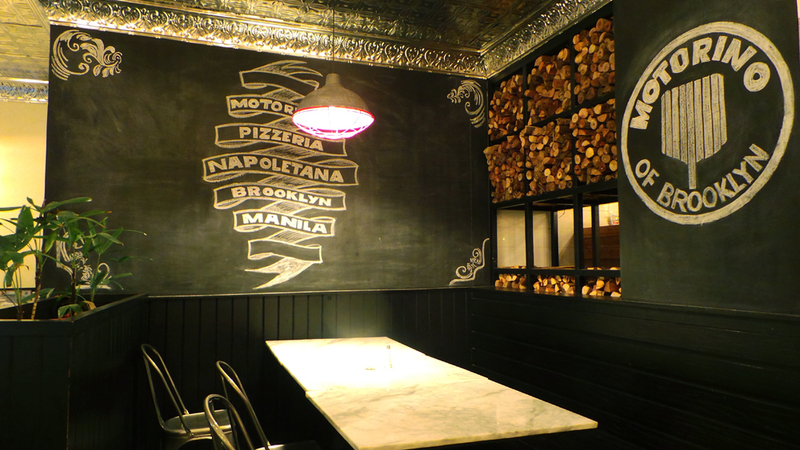 Motorino is a New York pizzeria that opened its second international location in Manila last year. I didn’t hear much about it because I’m not exactly a foodie, but my man and I found ourselves there, hungry after watching English Only, Please (the film was good). As I keep mentioning, my idea of food is either good, okay, or bad, and Motorino was… okay. 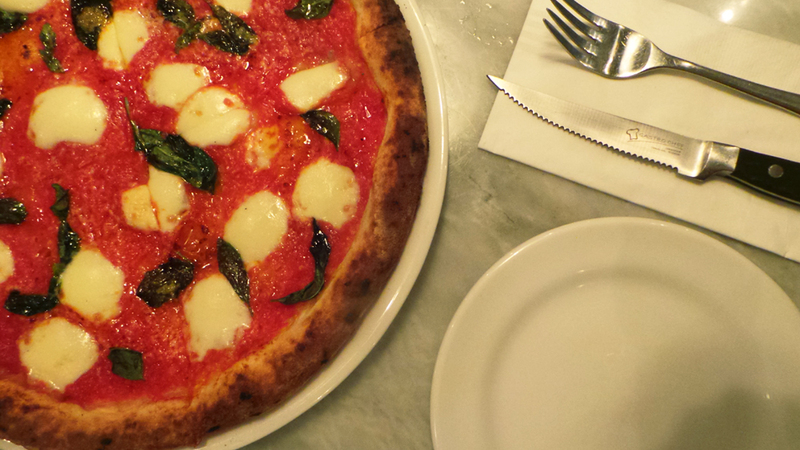 We had the margherita pizza and it was… okay. Maybe because it was a boring pie, but I’ve had other good margheritas from other pizzerias. Gino’s is still my favorite pizzeria that isn’t a chain (for chains, I love Papa John’s). 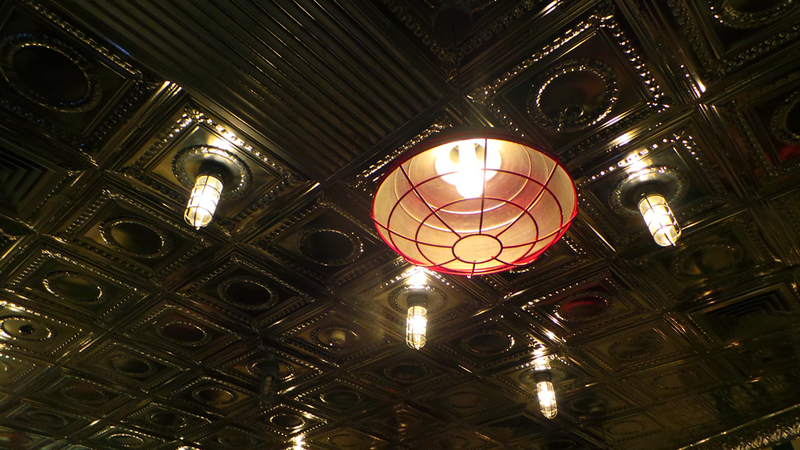 But I did love Motorino’s interiors. Rather than stick to a traditional pizza space with lots of wood, Motorino beautifully contrasts it with a wrought silver ceiling. 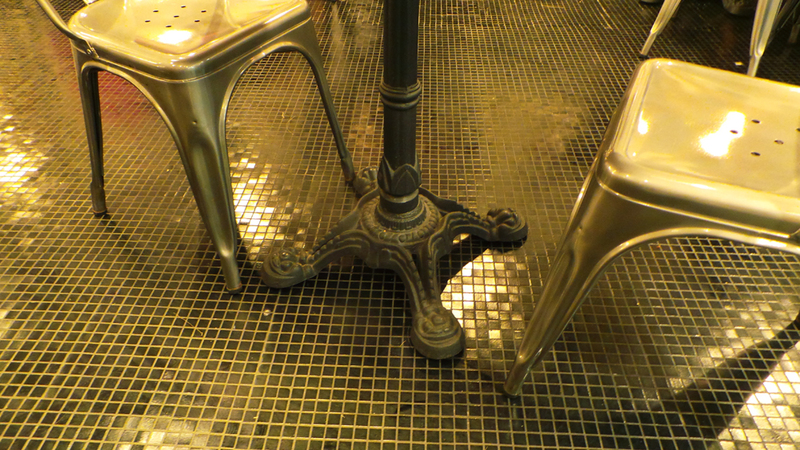 The tables also have beautiful iron pedestal bases, adding a modern touch to what would otherwise be a warm space. 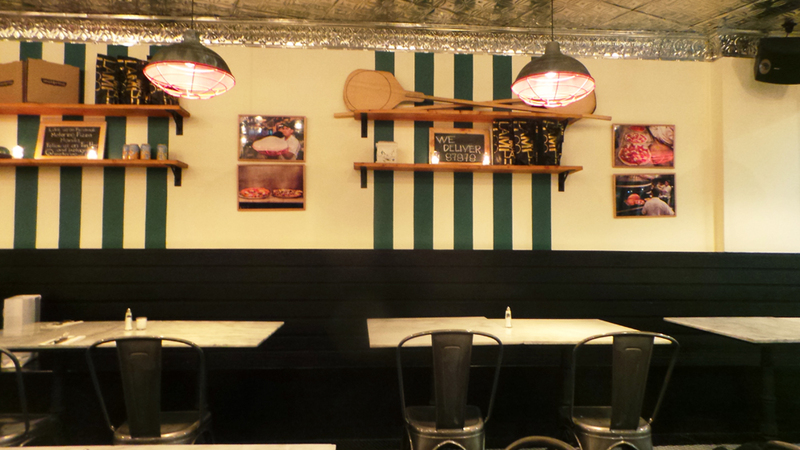 Of course, Motorino still looks like your neighborhood pizzeria. 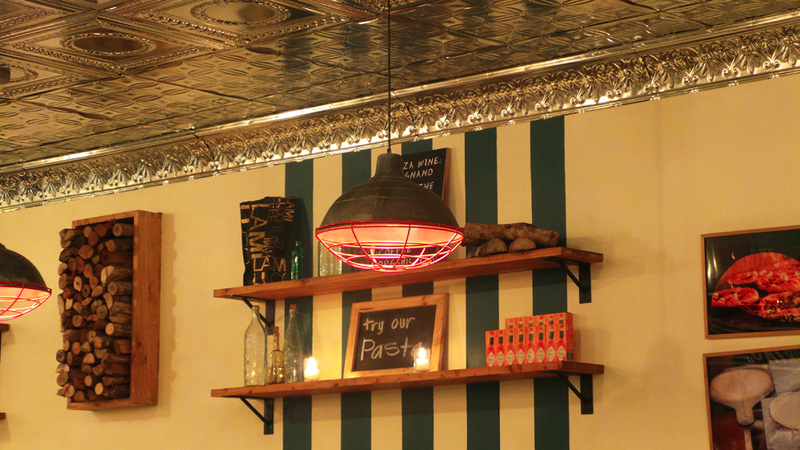 It has your chalkboard with the company logo and the menu, wire lamps, and pizza paddles. 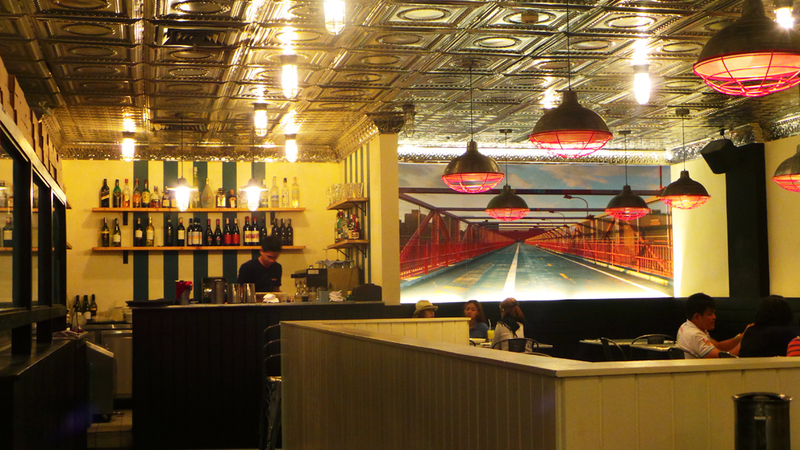 But the space is elevated with the silver ceiling, which becomes an exclamation point to a predominantly rustic look. Come on, we all love shiny things, right?